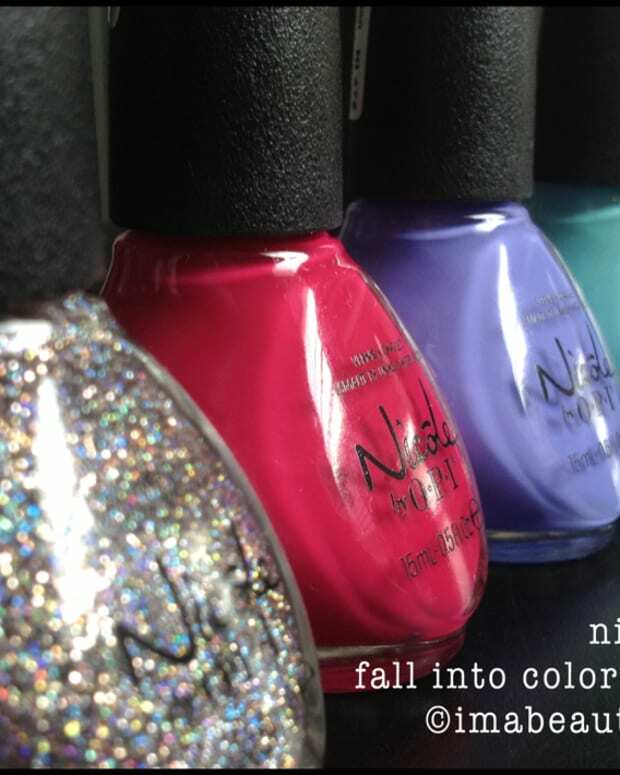 The Nicole by OPI Summer 2014 collection, Seize the Summer, is a mere four bottles. I gotta say I have SO much love for small collections. Why? Because they’re simple and to the point. I like that. Let’s look, yes? Nicole by OPI Shaved Nice over Leapink for Joy: I don’t quite get the name of this Shaved Nice shade but okay, whatever floats NOPI’s boat, I guess. There it is over Leapink for Joy and I topcoated with some of that great Nicole Quick Dry Top Coat. I don’t love it. 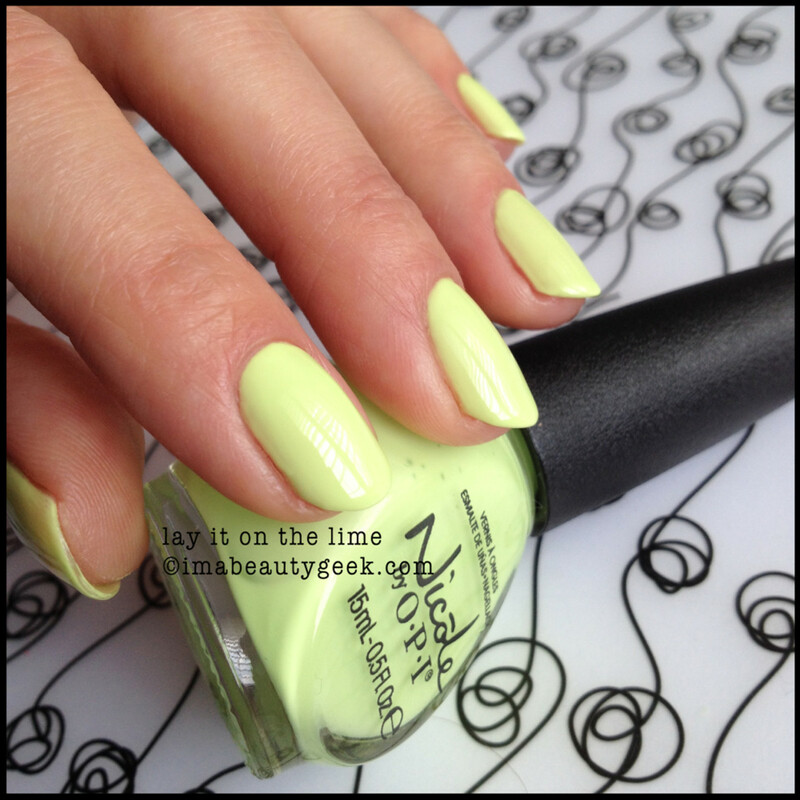 Nicole by OPI Lay it on the Lime: Here we’ve got a pretty, pretty shade of pastel lime. I am so in love with this colour I can’t even tell you. J’adore. Beaucoup. The formula is a little thin so you’ll more than likely need three coats to get rid of visible nail lines (aka VNL). Nicole by OPI Shaved Nice over Lay it on the Lime: I didn’t dig the glitter coat over Leapink for Joy but over Lay it on the Lime, I’m a fan. Yep. Nicole by OPI The Coral of the Story: What a perfect coral for summer! And I don’t even like corals! But look at it! S&apos;perfect. Nicole The Coral of the Story: It’s pretty but not particularly glossy so hit it with a top coat, yes? 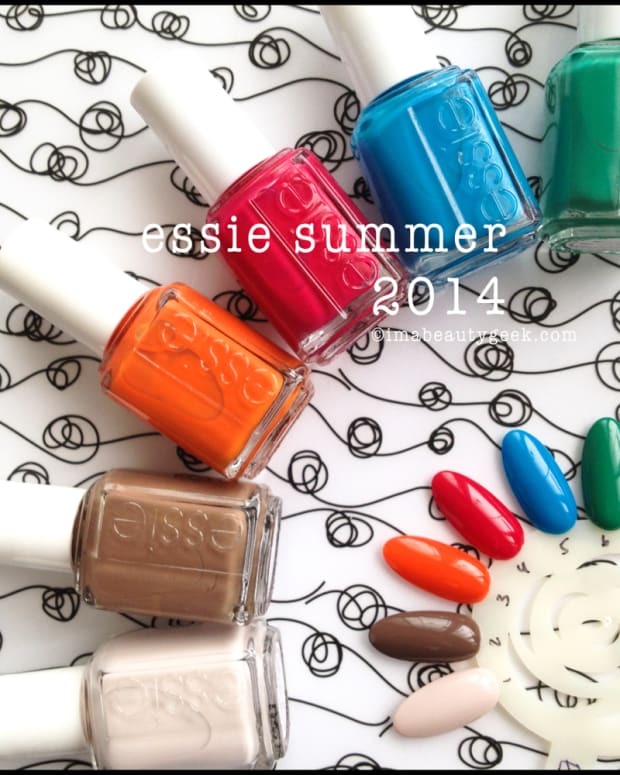 Nicole by OPI Seize the Summer shades ($10.99CAD each) will be available June 2014 at select Shoppers, Walmart, Jean Coutu, Loblaws, Rexall and London Drug stores. If you’re looking for more summer shades, might I suggest some of that OPI Coca-Cola collection that’s rolling out now? Or perhaps some OPI Neons? 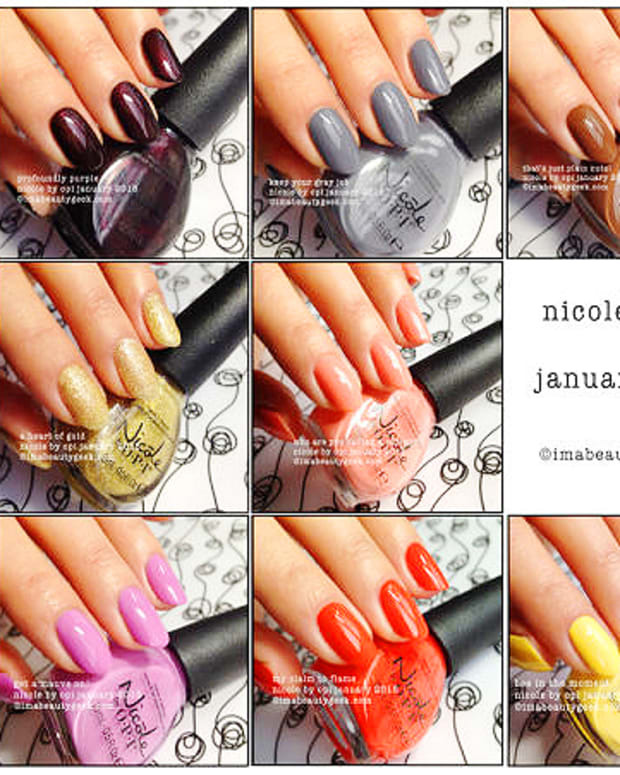 If none of that grabs you, head on over to OPI.com and see what else they&apos;ve got goin&apos; on.